South African government bonds are currently out of favour, despite providing attractive yields. This is according to Lyle Sankar, fund manager at PSG Asset Management, who notes that 20-year bonds are currently yielding over 10%. 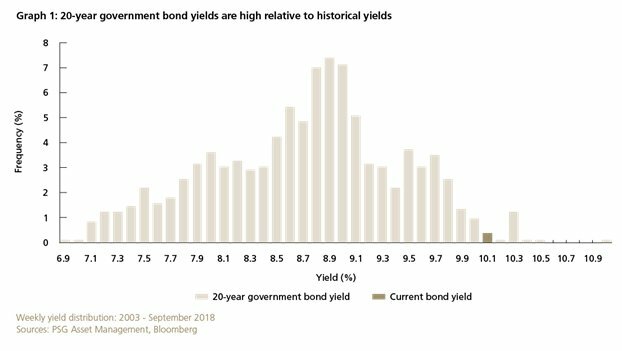 “The long end of the SA government bond curve is offering compelling real yields, driven higher by elevated fears about emerging market assets,” Sankar said. “The graph below shows how often the yield of the 20-year government bond has been at various levels since the South African Reserve Bank (SARB) introduced inflation targeting in 2003. Sankar noted that returns are favourable and that CPI has averaged 5.7% since the implementation of inflation targeting. “We expect domestic inflation to remain anchored within the SARB’s target band of 3% to 6% – and believe that a move towards 5% is a distinct possibility,” he said. He added that historically, there has been a positive correlation between yields and subsequent three-year returns: the higher the starting yield, the higher the return. In addition, when starting from a yield of 9% and above, investors haven’t lost capital over any subsequent three-year period and have earned inflation-beating returns. At yields of 10% and above (as currently on offer), investors have historically achieved three-year returns in excess of 11%, or inflation plus 5% (assuming 6% inflation). “These returns are similar to those generally delivered by the equity market, explaining why our funds, including higher-target funds such as the PSG Flexible Fund, have been buyers of 20-year government bonds this year,” he said. Bond yields reflect expectations of future inflation. The ability of a country’s central bank to keep inflation in check is therefore key when assessing potential bond returns. The SARB’s independence is protected by the Constitution and has been thoroughly tested in recent years. In addition, it has demonstrated its credibility by successfully anchoring inflation comfortably within its target band. The possibility of South Africa being downgraded to sub-investment grade remains a market concern. While this may or may not happen, the asset manager believes the impact of a downgrade on asset prices may be less significant than the market expects. South African credit spreads already trade in line with other sub-investment grade countries (such as Turkey and Brazil) and the bond market has seen significant outflows from foreigners. 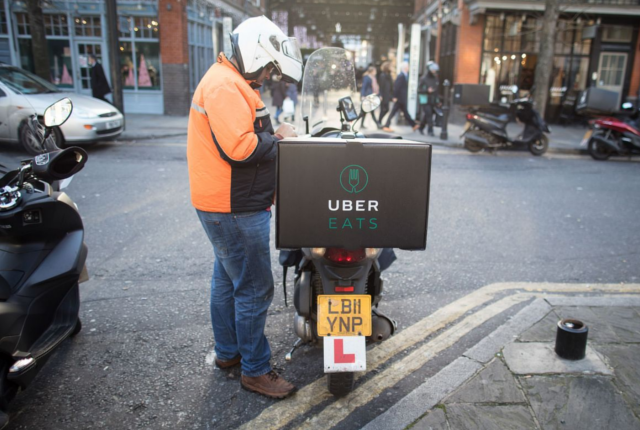 There is therefore a possibility that a downgrade has already largely been priced in. 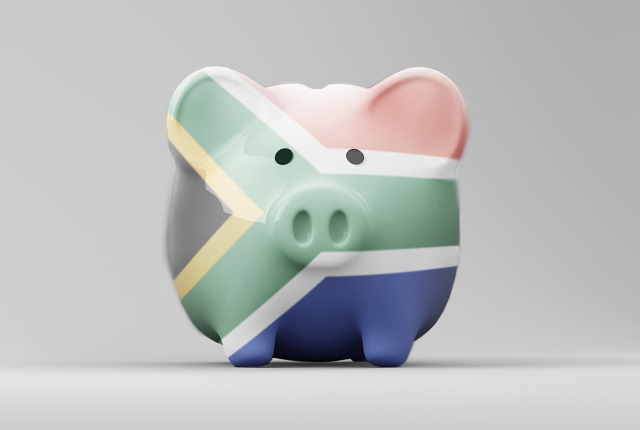 South African assets and the rand sold off dramatically in the wake of the 1998 Asian financial crisis – the 10-year government bond yield briefly breached 20%. However, while the current distress in emerging markets such as Argentina and Turkey is similar, PSG Asset management doesn’t believe it will have the same effect. Firstly, the Asian financial crisis occurred before the SARB implemented inflation targeting, and inflation was volatile. Also, our banking system is much stronger now, following the introduction of Basel III. Finally, during the Asian crisis, exchange rate targeting was still one of the SARB’s key policy tools. It tried to protect the falling rand, which exacerbated the currency’s depreciation as speculators took advantage of relatively smaller SARB reserve balances. “While market dislocations may still occur, we factor this into our investment valuations and believe that 20-year SA government bonds offer a solid opportunity for investors,” said Sankar. “We incorporate the probabilities of bear-case scenarios in our intrinsic-yield estimates and only invest when the odds of favourable outcomes outweigh those of negative outcomes. Based on our research, we believe that the odds are in our clients’ favour,” he said.